"Fredo, well… He’s got a good heart," says Michael Corleone of his brother. "But," he goes on, "he’s weak, and he’s stupid. 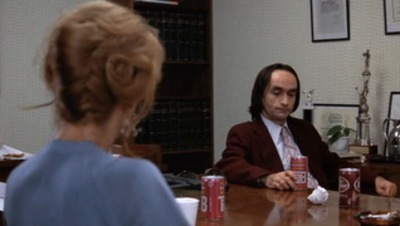 And this is life and death..."
John Cazale has what is probably the most impressive complete resumé in Hollywood history. He appeared in only five films before succumbing to bone cancer at the age of 42; those films, however, were The Godfather (1972), The Godfather Part 2 (1974), The Conversation (1974), Dog Day Afternoon (1975), and The Deer Hunter (1978). Whatever one may personally think of them, it is difficult to think of another actor who appeared solely in movies that have been so consistently highly praised; apart from anything, each one was nominated for the Best Picture Oscar, and three won. In 2009 a short documentary called I Knew It Was You was made about Cazale’s life and career (watch it here). It features interviews with those one would expect, including Francis Ford Coppola, Robert De Niro, Gene Hackman, Meryl Streep (whom Cazale was dating at the time of his death), and Al Pacino - who claims he learned more about acting from Cazale than from anyone else he has ever worked with. It also features testimonials from a number of younger actors equally eager to praise him for his craft, such as Steve Buscemi, Sam Rockwell, and Phillip Seymour Hoffman. The overall thrust of the documentary, hinted at in its title, is to suggest how unfair it is that Cazale is not more well known, given his talent and track record. While I certainly agree with this, I would also suggest that it is in a sense unsurprising - and even somehow perhaps sadly fitting - given both the roles he played, and his films’ treatment of his characters. 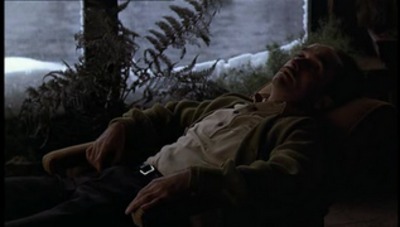 In his seminal book Stars, Richard Dyer writes that, “Stars… are the direct or indirect reflection of the needs, drives and dreams of American society.” Cazale’s career suggests that this holds both for those figures who are constructed to embody such dreams, and for those who are required to embody their lack or failure. While Cazale was emphatically not a ‘star’ in the conventional sense, this fact is in itself telling in relation to the kinds of roles he played, and holds a special significance for Cazale’s relationship to the kinds of needs and drives Dyer refers to. In both The Godfather Part 2 and Dog Day Afternoon Cazale's characters are continually being undermined, in different ways, by the star of both films, Al Pacino. This happens on the level of plot, but it is also happening consistently stylistically. For instance, one way in which The Godfather Part 2 often communicates Cazale’s inferiority to Pacino is through framing. We can see this, for example, in the scene in which Michael disowns Fredo (watch a portion of it here). 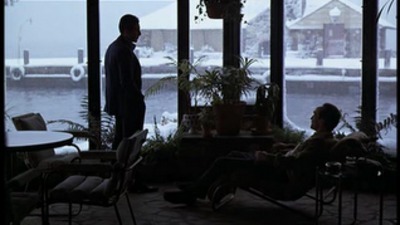 In the scene’s long shots Fredo is seen sprawled on a recliner along the bottom right-hand side of the frame while Michael towers over him, commanding the eye. 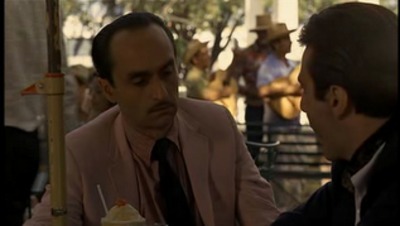 Similarly, in a previous scene in which Michael is subtly testing Fredo’s loyalty over drinks in an outdoor café in Havana, the shots of Cazale demand that he share the frame with a background of many constantly-moving extras - including, in an especially extreme act of visual undermining, a wandering band playing “Guantananera”. This ensures that the shots of Cazale are far more cluttered to look at, reducing his visual command within them and generally treating him in a manner that is almost as undignified as the banana dacquiri he is drinking (and which protrudes unfortunately from the bottom of his frame). Any extras in Pacino’s frame, meanwhile, are seldom and so far away as to be too out-of-focus to be conspicuous. The more aesthetically free-wheeling Dog Day Afternoon often communicates the same basic message using camera movement and editing. 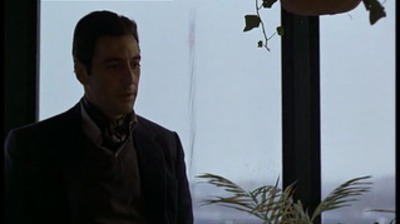 A recurring visual motif in the film is for Cazale to be given very quick insert shots in scenes in which Pacino is energetically engaging in some classically Pacino-esque histrionics. For example, in the famous “Attica! Attica!” moment Pacino paces outside the bank and whips up the crowd and, more importantly, the camera, into a frenzy (it follows him unblinkingly, handheld and seemingly enthralled by its star), while Cazale, inside, receives one incredibly short, static shot of him craning his neck, trying to see what his showboating partner is up to. The reason for this one-sided power relationship in both films is that Pacino’s characters represent everything that Cazale’s lack. Firstly, Fredo has to live daily with the fact that, being the eldest living Corleone son, he should be the head of the family but was “stepped over” in favour of Michael because of his inferior brains. The bane of his life, his stupidity, is continually illustrated throughout the film - an example from the Havana scene being his confusion over the correct Spanish translation of “banana daicquiri”. This of course ultimately culminates in his final, fatal, error of collaborating with Hyman Roth: he is shown not even to be able to betray properly. Similarly, in Dog Day Afternoon Sal’s ignorance is constantly stressed, as in the moment when he announces he wants to fly to refuge in Wyoming because he believes it to be a foreign country. Secondly, neither Fredo nor Sal is offered as being anywhere near as charismatic or appealing as Michael or Sonny. 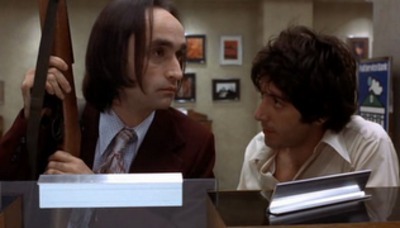 To begin with, Cazale just does not have the ‘movie star looks’ in the same way Pacino does: with his wiry frame, slightly balding head, and overall sickly-appearance, he is simply not as conventionally attractive as his co-star. 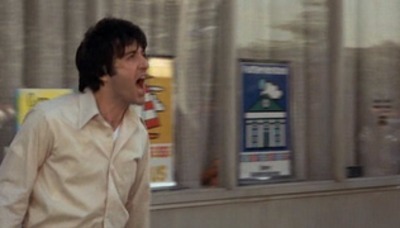 This is perhaps most obvious in Dog Day Afternoon, in which Pacino is looking his unkempt, androgynous best. 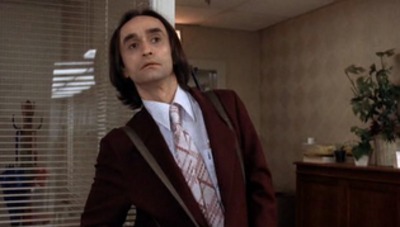 Regardless of natural beauty, however, Cazale is also made to look especially unappealing through costume. 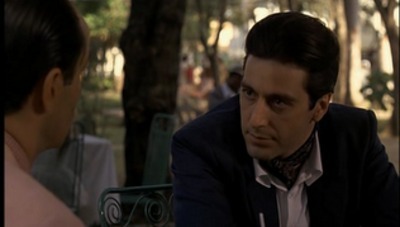 In the café scene in The Godfather Part 2 he wears a rather tacky pink suit, while in the disowning scene his costume is as crumpled and dishevelled as both his conscience and his pose - an old-looking polo shirt and cardigan contrasting pointedly with Pacino’s sharp, formal suit. Whereas Pacino is presented as the classically-handsome, smooth, dark Italian American male, Cazale is suggested to be a long way off such an ideal. This is symptomatic of the status of his characters, but also of Cazale himself and his position as a perennial supporting ‘character actor’ rather than a star: he lacks the look and style (and perhaps the inclination) to be a Pacino - to be successful in that way. A third trait that Fredo and Sal share is what the films suggest to be a naïve and pitiable religious belief. In Dog Day Afternoon Cazale’s biggest scene is one in which he tells a bank employee that she shouldn’t start smoking because “the body is the temple of the lord” (an admonition he delivers so weakly that he can barely look the woman in the eye). This suggestion is treated with a similar derision as greeted another pious character’s complaint that those around her should stop swearing because “I’m a Christian and my ears are not garbage cans”. 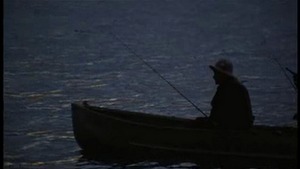 In The Godfather Part 2 Fredo too possesses an almost childlike conception of religion, as we discover near the film’s close when he is teaching Michael’s young son, Anthony, the ways of fishing: the secret, he says, is to say a “Hail Mary” before casting your line. 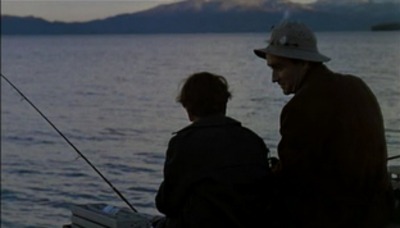 Cazale delivers this advice with such a sincerity that he gives us to understand he truly, deeply believes it (and, indeed, he does go on to say a “Hail Mary” himself out on the lake, seconds before his death). One knows - to continue the comparison between Cazale and Pacino’s characters - that Michael would not believe the juvenile story of the “Hail Mary” for one second: his success has taught him the necessity of cynicism. What all this undermining of Cazale’s characters does is set them up as people whom we find pathetic, yet also sympathetic. They are characters we do not admire, but whom we certainly don’t believe deserve to die. However, the film worlds in which Fredo and Sal live are not forgiving ones: these are worlds created by the 'Hollywood Renaissance' cinema, in which the myth of the simpleton overcoming all odds does not exist. Only the strongest, the privileged - the stars - can survive the desolate landscape, and even then they must be arrested, or bankrupt themselves morally, in order to do so. 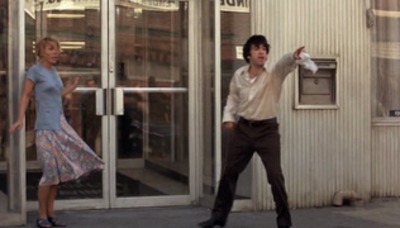 Pacino’s Sonny is momentarily able to live a version of the ‘American Dream’ in Dog Day Afternoon (media adoration, money, power) while Sal stands in the wings, watches, and eventually dies. Equally, Michael is really the epitome of the ‘Dream’ (he has wealth, control, he has bettered himself), and Fredo must be sacrificed in order to maintain it. Both films present a view of an America in which the wounded are not carried: the weak and stupid are left to die. The attitude of these films doesn’t seem to be that this is good or bad, but simply that it is. 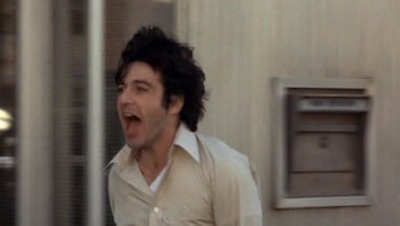 The death of Sal at the climax of Dog Day Afternoon does not feel tragic: it feels numbing. We are used to seeing the deserved death of the evil and the heroic death of the good, but not the inevitable, truthful, death of the weak. Fredo’s killing too is dealt with ambiguously, as Robert Johnson says in his book Francis Ford Coppola: “Cazale’s Fredo ends up exasperating us because we come to realize that Michael’s punishment of him is both wrong and, somehow, just”. We do not want him to die, and yet we know - as Michael does - that he must. We know, apart from anything else, that a man who believes all one need do in order to catch a fish is pray to the virgin Mary does not belong in this world (and, perhaps, we simultaneously long for a time and a world in which we didn’t). Cazale in this way is used as a virtual embodiment of the disillusionment of the Hollywood Renaissance, relied upon to show what can happen to the innocent - or ignorant - at a time of “life and death”. This article was published on June 12, 2012.